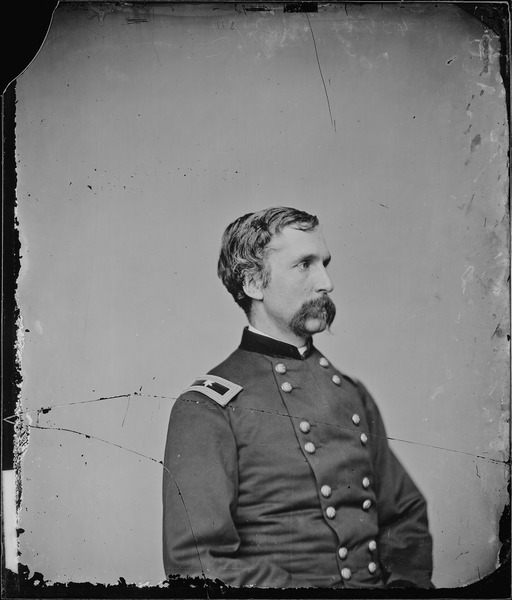 Former professor Joshua Lawrence Chamberlain was now a lieutenant colonel in the 20th Maine volunteer infantry. Wearing the dark blue uniform of the Union Army, he started to learn new duties and found his voice and role as a dynamic leader. Under the tutelage of Colonel A. Ames, Chamberlain mastered elements of drill, basic command, and the leadership role. In the next three years he crafted his own leadership style based on the principles of his early life and the military skills he learned from Colonel Ames. In autumn 1862 the 20th Maine joined the Union Army of the Potomac and within three months, Chamberlain would be changed from peaceful professor to gallant warrior. 1. Antietam – September 17, 1862 Chamberlain and the 20th Maine were held in reserve with other troops at this battle. However, it was still their first glimpse of the horrors of war. Two days after the battle ended, the regiment marched across the battlefield to a new bivouac area. The sights of the aftermath of Antietam were shocking and terrifying to the new soldiers. 2. Fredericksburg – December 13, 1862 The lieutenant colonel and the regiment took part in one of many ill-fated charges across open ground toward a Confederate position called Marye’s Heights. Caught in cross fire and with no way to retreat, they spent a night and a day on the battlefield, using depressions in the ground and bodies of fallen comrades as protection from snipers. This was Chamberlain’s first battle. 4. Gettysburg – July 2, 1863 During the Gettysburg Campaign, Chamberlain was promoted to Colonel and commander of the regiment. Additional campaign adventures for the new colonel included reasoning with mutineers from another regiment and fatigue/heat related illness. Arriving at Gettysburg on the morning of July 2, they waited in reserved and heard rumors about the previous day’s fighting. 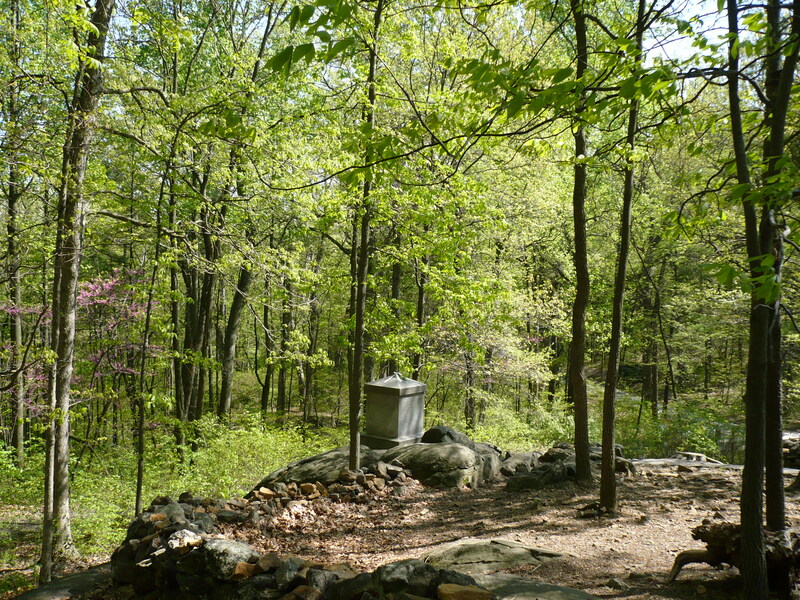 In the afternoon, they were rushed as reinforcements toward fighting in the Peach Orchard/Wheat Field, but were suddenly diverted to a rocky hill called Little Round Top. Colonel Strong Vincent, brigade commander, positioned the 20th Maine at the far left flank (“flank” simply means “side” in military language). “Hold this ground at all costs!” were the orders. For a couple of hours the enemy made a series of charging attacks. Chamberlain stretched his line of troops to meet flanking attacks, and walked along the line, providing encouragement. Ultimately, the 20th Maine ran out of ammunition (each man carried about 40 rounds). Colonel Chamberlain ordered a bayonet charge, which successfully routed the Confederates in this small portion of the battlefield. Additionally, Chamberlain and the 20th captured another hill (Big Round Top) in the evening and on July 3, they were held in reserve. 5. The Overland Campaign – May thru June 1864 Colonel Chamberlain was recovering from illness (malaria). He rejoined the regiment around May 8th. There was skirmishing, but no large battles for Chamberlain at this time. 6. 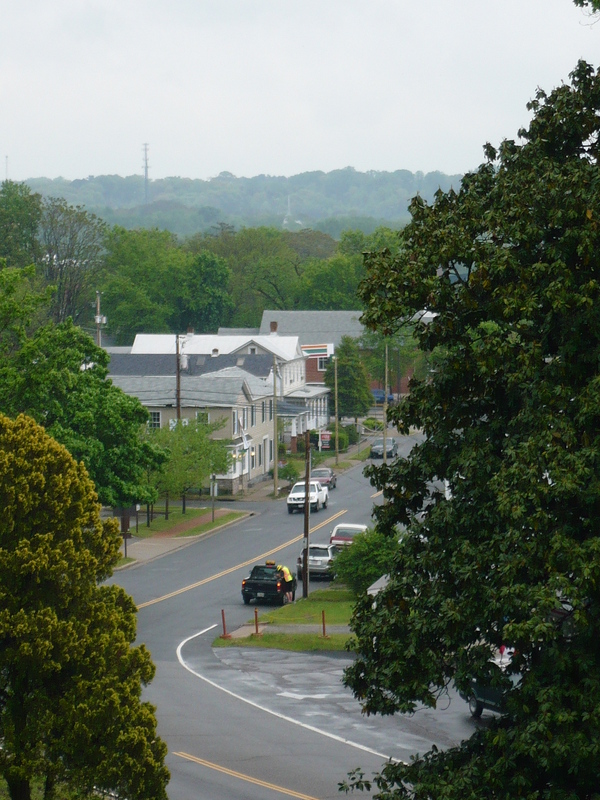 Rive’s Salient (Petersburg) – June 18, 1864 The Union army swung southeast and came up to Petersburg, a fortified town and former railroad hub south of Richmond. (Richmond was the capital of the Confederacy and the main objective in most of the Union campaigns in the Eastern Theater of the Civil War). General Grant, commander of Union armies, (remember him from your U.S. History class?) ordered Chamberlain’s troops to charge a heavily fortified position called Rive’s Salient. When a request for reconsideration was rejected, Chamberlain led in the vanguard of the charge. The attack failed, he was badly and wounded and doctors informed him that he was dying. He received a promotion to brigadier general on July 3, 1864. Newspapers started printing General Chamberlain’s obituary. 7. Appomattox Campaign Well, the newspapers and the doctors were wrong! Chamberlain not only recovered, he returned to field command. In the early spring of 1865, Union troops launched a final offensive against Petersburg and Richmond; both towns were captured on April 2, 1865. General Lee (he’s the main Confederate commander, remember?) and his army headed west. Chamberlain and his troops were involved numerous battles and skirmishes: White Oak Road, Quaker Road, Five Forks, Appomattox. General Chamberlain was wounded again, but not seriously enough to force him to leave the field. On several occasions he rallied faltering troops. 10. Appomattox Unification General Lee (Confederate) surrendered to General Grant (Union) on April 9, 1865. What many folks don’t know, is that the Confederate Army of Northern Virginia (Lee’s army) formally laid down their weapons and flags. On April 12, 1865, this ceremony finalized the surrender. The general presiding over the ceremony was General Chamberlain who had been specially selected for this duty by General Grant. Chamberlain ordered that there would be no mocking or victorious cheering by his men. He impulsively gave the order that would be the first step toward unification of the county: he ordered his soldiers to salute the returning rebels. Salute of honor. In less than three years Chamberlain – former professor and common citizen – had become one the honored generals of the Union Army. His leadership was practical; he believed in leading by example and understanding the value of human dignity. Now that the war was over, how would this general adjust to peacetime society again? Could he go back the classroom or were greater ambitions and national services waiting on the horizon? (Join us next week for the last part of the Chamberlain biography). P.S. My apologies if this post was too long…or not long enough. If you’d like more info on a battle or incident that may have been condensed or run-over in this short biography, leave me a comment or reply and I’ll provide some additional info. Thanks. Hmmm….So he did more then just run down a hill at Gettysburg. Thanks for the history; I like the brief points. Easy to read through.